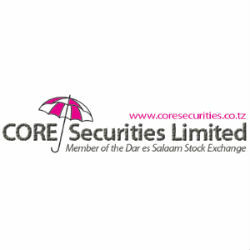 According to the Weekly Market Report of the week ended on 12th April 2013 issued by CORE Securities, a leading Tanzanian licensed stockbroker, the Dar Es Salaam Stock Exchange (DSE) total turnover increased by 366% to TZS 3,999.4 Million (USD 2.466 Million) from TZS 857.6 Million (USD 530,863) the week before. The Market Commentary shows the DSEI (ASI) and TSI were down by -0.18% and -0.74% to 1,524.77 and 1,595.97 respectively, compared by 1,527.58 and 1,607.86 of last week. Most of activities were seen on CRDB,SIMBA and TBL counters. T-Bills action was done on 10th April 2013 with a total of 55 sucessful bids for a total of TZS 93,826.6 Million (USD 57.864 Million). Spot gold was down to -7.12% to 2.399 Million (USD 1,479.5) per ounce (1 ounce = 31.10 grams) on Friday 12th April. Moving on to the Exchange Rate section, In comparison to previous week, the shilling lost ground against the EUR, USD, ZAR, KES and GBP.